Sitting in front of a computer with a 9kg car tire hanging around your neck doesn’t seem very comfortable, does it? 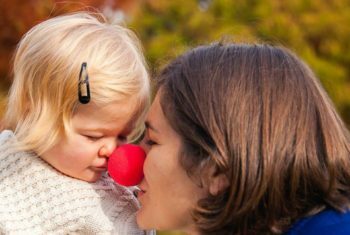 At Amsterdam-based Thrive Chiropractic, Kate Cox sees all kinds of people; from busy mothers juggling work and family to desk jockeys grinding their bodies into the ground presenting symptoms of forward head posture (FHP). “Both the mothers and the desk jockeys have slowly altered their structural alignment day by day and hour by hour,” she told us. 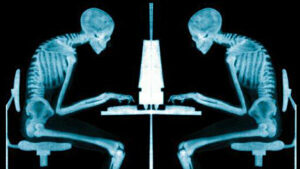 Bad posture leads to the head slowly sitting more forward from the spine. For every inch the head moves forward, an extra 4.5kg of strain is placed on the muscles of the upper back and neck – the car tire necklace. Left untreated, FHP can lead to a laundry list of problems including long term muscle strain, fatigue, migraines, and early spinal degeneration, among others. Thankfully, structural chiropractor Kate is on hand with advice you can start putting into practice today. Treatment at Thrive is gentle and non-invasive, but Kate – a former international rugby player – sees it as another competition. “It’s a game of tug of war, and I like to win. This means the patient wins too,” she told us with pride. The Netherlands is a “knowledge economy,” which means that up and down the country, countless Dutch and internationals are crouching over computers in cubicles. They’re making money, but countless hours crouching over the keyboard – not to mention the pressures of deadlines and stress – take their toll on the body. 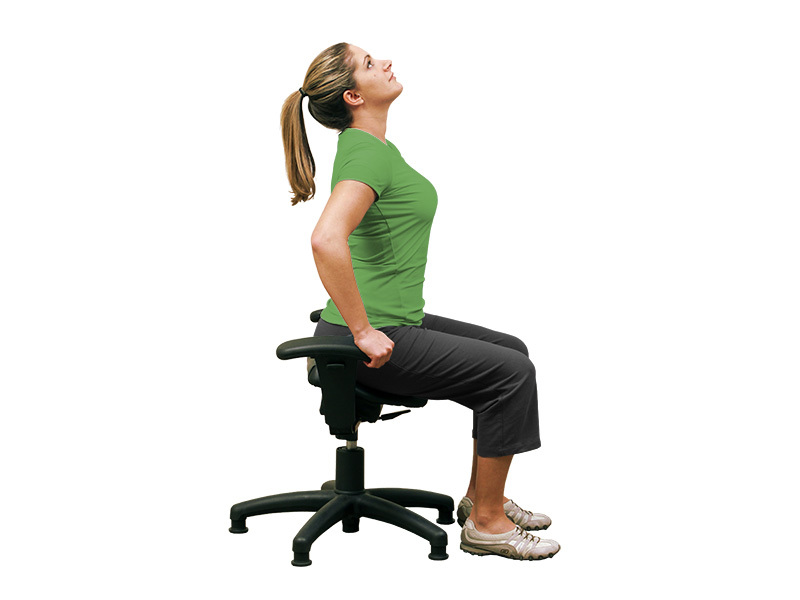 At Thrive Chiropractic, many of Kate’s patients begin with wobble chair exercises prior to their treatment. The corrective movements that the body makes while perched on the wobble chair help to increase disc, ligament, and tendon strength, lubricate the spinal joints, rehydrate the discs and increase core strength, among countless other benefits. However, since nobody wants to keep a gigantic wobble chair in their home or office, Kate recommends that patients use a wobble cushion at home and perform a few basic exercises to ward off spinal problems. A wobble cushion is a cheap piece of exercise equipment, but plays an important part in reprogramming the body. By providing a less stable siting surface, the cushion forces the body to make continuous small adjustments to correct balance. These movements work the core muscles of the body, which are directly involved in posture. Simply popping the cushion onto a regular chair and sitting on it for short periods throughout the day can improve posture to no end. Proprioception exercises like this train the brain to constantly monitor the position of the joints and correct imbalances rapidly and effectively. For an extra level of difficulty, closing the eyes while sitting on the cushion forces the body and brain to work harder. Wobble cushion treatment is effective, but for a thorough examination and personal treatment plan, head in to Thrive Chiropractic on Amsterdam’s historic Prinsengracht for a free consultation in English. Treatment at Thrive is safe and scientifically proven. Using the wobble chair and traction devices, Kate and her team provide a treatment that’s often more effective than surgery, and a whole lot gentler. 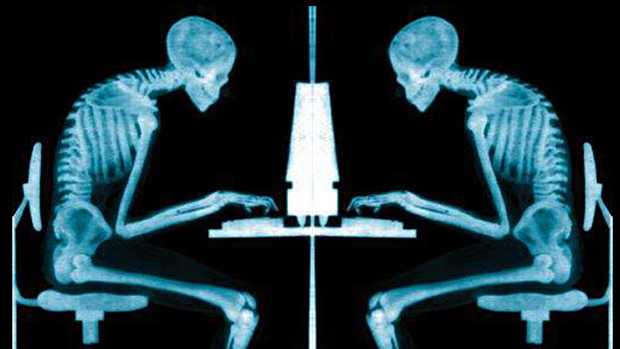 As well as insuring yourself against future health problems, sorting out your posture has the knock-on benefits of helping with focus and mental clarity, and making you appear taller and more confident – surely a bonus when you’re an expat surrounded by the towering Dutch. Thrive Chiropractic is located at Prinsengracht 175 in Amsterdam. For a free consultation call 020 8454 934, or visit the website.